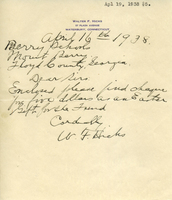 Walter F. Hicks sends a donation of $5 as an Easter gift for the fund. 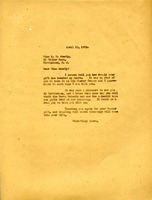 Martha writes to Miss Akerly to thank her for the gift that she sent to the Berry schools and how wonderful it was to see her in Morristown. 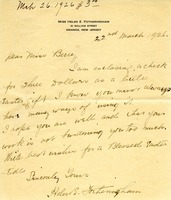 Helen writes to Martha with a check as an Easter Gift for the School.